Voices & Visions™ Conversation Guides stimulate thought and discussion around Masters Series posters. 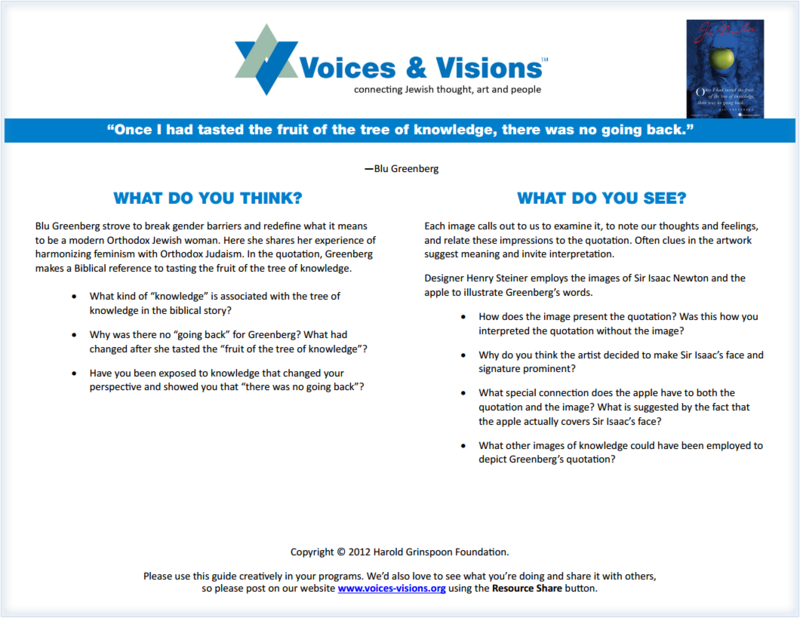 Each Guide poses compelling questions about the Jewish idea that inspired the poster (“What Do You Think?”) and the artist’s interpretation of that idea (“What Do You See?”). We encourage and permit you to adapt these Guides for your programming needs. We ask that you respect copyrighted material and not edit or alter the images and quotes.